NEEDHAM — It was a modest house by this town’s standards, a center-entrance colonial, three bedrooms and a two-car garage on a quarter-acre lot. The inside hadn’t welcomed a renovator in many, many years, and the outside didn’t wear its age particularly well. Its owner: Peter Brand, Harvard University’s legendary fencing coach. Its assessed value: $549,300. The buyer, it turns out, was the father of a high school junior who was actively looking at applying to Harvard with an eye toward being on the fencing team. Soon enough, Jie Zhao’s younger son would gain admission and join the team. And Zhao, who never lived a day in the Needham house, would sell it 17 months after he bought it for a $324,500 loss. The home sale may become the next chapter in the national debate over fairness in college admissions. Zhao, who has lavished his largesse on the fencing world and on Harvard, knows how the home purchase looks. But he said it was not meant to help his younger son get into college. Rather, in a series of interviews with the Globe, he called it an investment and favor for Brand, the coach whom he said had become his close friend. “I want to help Peter Brand because I feel so sorry he has to travel so much to go to fencing practice,” Zhao said of the coach’s 12-or-so-mile commute. But Harvard officials, who say they first learned of the transaction this week from the Globe, want to know a lot more. They have retained outside counsel — whom they declined to name — to conduct an independent investigation. “We are committed to ensuring the integrity of our recruitment practices,” Harvard College spokeswoman Rachael Dane said. A roiling nationwide college admissions scandal has resulted in federal criminal charges against 50 parents, coaches, and consultants, and exposed the lengths to which rich parents will go to get their kids into elite schools. On Wednesday, actresses Felicity Huffman and Lori Loughlin appeared in Boston federal court in connection with their roles in the alleged bribery scheme. Harvard has, so far, been unscathed. But the 2016 sale of Brand’s home raises questions about whether Brand helped Zhao’s son get into Harvard in exchange for the inflated home price. Brand, who grew up on an Israeli kibbutz and immigrated to the United States when he was 13, fenced competitively before a coaching career that led to him becoming Harvard’s men’s and women’s fencing coach in 1999. Brand is only the team’s fourth coach since 1931 in a program that saw one of its fencers recently go to the Olympics and traces its roots to 1889. 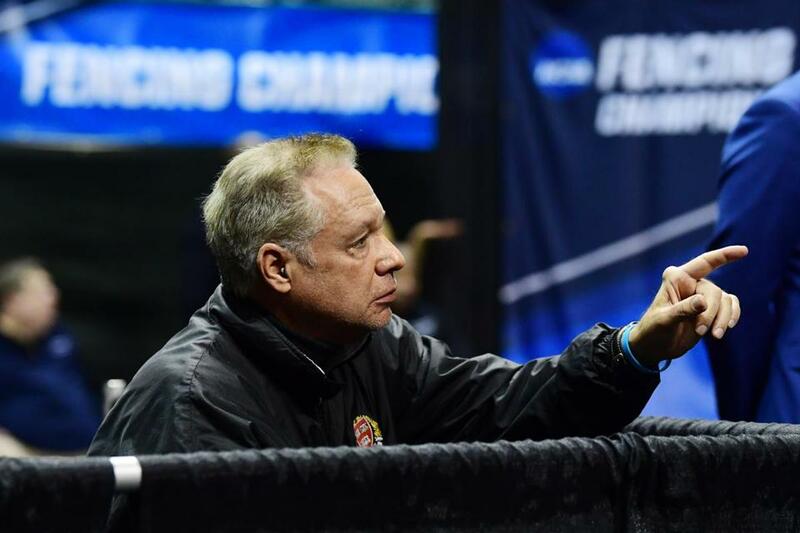 Harvard’s fencing coach, Peter Brand, during the Division I Women's Fencing Championship on March 24 in Cleveland. Brand didn’t respond to e-mail inquiries. No one answered the door at his family’s East Cambridge condominium. A message left on a number associated with the couple went unreturned. Failure to disclose possible conflicts could lead to disciplinary action or termination, the policy says. Zhao spoke with the Globe several times on the telephone and flew from Virginia to Boston because he wanted to explain everything in person, and, in his words, look the reporter in the eye. In an interview at the Hilton Boston Logan Airport, he acknowledged that his house purchase may look suspect. He said, however, it wasn’t meant to help get his son into Harvard. Zhao said his son was a successful fencer, excelled at the prestigious St. Albans School with excellent grades (all A’s in high school except for one B freshman year, transcripts show), notched a nearly perfect SAT score, and had Harvard family connections — his older brother was then a student and a fencer, and his mother has multiple Harvard graduate degrees. “It’s a no-brainer, I don’t have to do anything,” he said. Reached by telephone this week, both Zhao children said they did not know their father had bought Brand’s house. The younger one is a current sophomore. The older one graduated from Harvard in 2018. As the admissions scandal unfolds at other elite institutions, Harvard has emphasized that its admissions policies are strenuous. Each recruited athlete is interviewed, school officials have said, and the final decision on admission for everyone, including athletes, is made by a 40-person committee. Still, coaches play a role in the admissions process, flagging favored recruits for the committee, which makes the final decision on which of the many qualified applicants to admit, officials say. For their part, one week after Zhao bought their Needham house, Brand and his wife paid $1.3 million for a Cambridge condo that had an asking price of $989,000. They got a $517,000 mortgage. The house at 212 Forest St.
Gary J. Vrotsos, a longtime realtor who represented the sellers, remembered this Cambridge sale. Even with the hot market for condos, Brand and his wife offering $311,000 more than the listed price “was a very aggressive offer,” he recalled. Jie “Jack” Zhao, who came to the United States in 1985 from Beijing, became a citizen in 1995, and, in 2003, cofounded iTalk Global Communications Inc., a telecommunications business focused on connecting China and the United States. He and his partners sold their majority stake in the company for $80 million in 2012. In the interviews, Zhao said he had fallen in love with fencing, was lifted by his sons’ successes in the sport, and took great pleasure in being generous to fencing coaches, organizations, and teams. 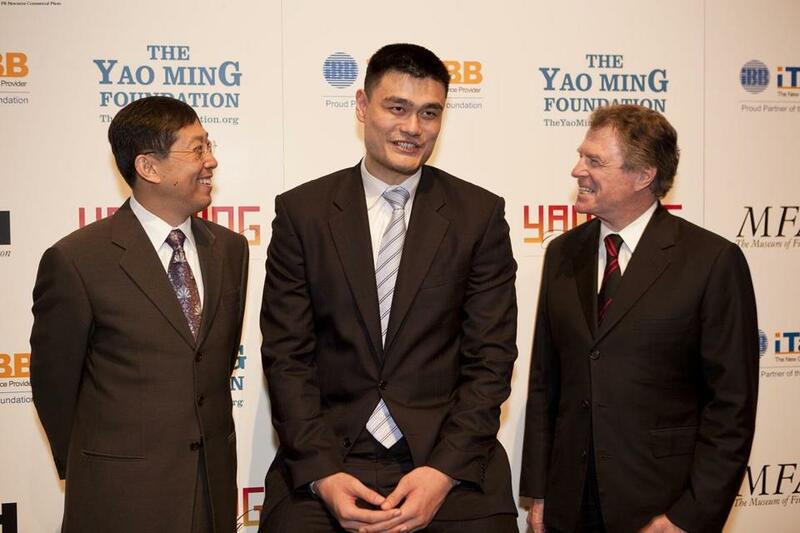 Jack Zhao, CEO of iTALK BB Global Communications (left,) Yao Ming, and Dr. Peter Marzio, MFAH director in 2010 during an annoucement about the Houston Rockets partnership with the Museum of Fine Arts in Houston. A friend introduced him to the world of fencing about 15 years ago, when Zhao’s older son was 8 or 9 years old. “Nerdy boys and we want them to be athletes, right?” he said. He took them to the Virginia Academy of Fencing, where he connected with Alexandre Ryjik, the academy’s founder and coach. Zhao said he was always the parent who went with his boys and their coach to international tournaments, and paid for Ryjik to fly in business class. “You know, I am the only one flying people business class to those because I pay big respect to the coaches,” he said. Eventually, Ryjik, also president of the National Fencing Foundation of Washington, D.C., introduced Zhao to Harvard’s well-known fencing coach, Zhao recalled. “He always introduced the parents to Brand,” Zhao said. Zhao said he and the Harvard coach didn’t become friends until his older son’s freshman year. Zhao said he quickly grew to love the Harvard fencing team, and added that he bought airline tickets for seven or eight fencers with frequent flyer miles to go to China with his sons early in each of their Harvard careers. Zhao couldn’t remember exactly when, but thinks it was over a dinner that he heard Brand bemoan his commute from Needham to Harvard fencing practice — which can take an hour during rush hour — especially in the winter snow. Zhao knew that Brand’s wife worked in Cambridge as well. “He did not ask me, ‘Jack, can you buy me a house?’ No. No. No. That is just not the situation,” Zhao said in the airport interview. Zhao explained it was more that he offered to buy the house and Brand told him what he thought it was worth. “From my perspective, I’m just making his life better plus making a good investment,” he said. Zhao said he had eyeballed the house inside and out, and thought it was “pretty cozy” and a good deal, even though he didn’t do a formal inspection or get it assessed. Zhao said he saw no conflict between the sale and his younger son’s college admissions process. If he did, Zhao asked, “why would I use my own name” on the real estate documents. “If I know the policies that the coach cannot sell to students or parents of student, I would not do it. I have no idea, right? I don’t think there’s any violation or anything,” he said. He planned to rent his new property out, but his father became ill and Zhao said he was busy taking care of him. So the Needham house sat empty for some period of time. In the summer of 2017, he wanted the cash for another investment, he said, so he hired a real estate agent. Zhao said he was surprised by the low price the house fetched. Another constellation of financial transactions involve Brand, Zhao, and the National Fencing Foundation of Washington, D.C. The nonprofit foundation hosts an annual youth fencing tournament and provides free coaching and academic tutoring for at-risk kids, according to the group’s tax filings and website. Zhao joined the foundation board as vice president in 2011, tax documents show. From 2009 to 2012, the most the group received in contributions any year was $25,000. But in 2013, the group received more than $1 million in contributions, its filings show. Zhao said he gave the group $1 million in February 2013. Also in 2013, Brand and his wife, Jacqueline Phillips, incorporated the Peter Brand Foundation in Delaware, records show. It was granted tax-exempt status by the IRS in July of 2014, but did not see a significant infusion of money until autumn of 2014 when the National Fencing Foundation cut it a check for $100,000, tax filings show. That fall, Zhao’s older son, who had a sterling high school academic and fencing record, started at Harvard. Zhao said there’s no connection, and he had no control over or knowledge of the grant, implicitly or explicitly. “Nothing involved in the donation from one foundation to the other. No knowledge. No influence. No decision-making,” he said. Zhao’s older son expressed surprise when told about the donation and said he didn’t know about it. Zhao said he had a falling out with the organization about its direction, and resigned shortly after making the million-dollar donation. Sbarbaro confirmed Zhao’s May 2013 resignation. Still, the foundation listed Zhao as vice president on its 2013, 2014, and 2015 tax filings — something the foundation says was a mistake. The foundation’s president, Ryjik, didn’t respond to texts, calls, and e-mails seeking comment. Sbarbaro said the grant to Brand’s organization was premised on the funds being used for fencing. “Our board felt that, after this contribution, we would monitor the Brand Foundation to see if it remained viable . . . and contributed to the advancement of fencing,” Sbarbaro said. That’s not exactly what happened. Filings show that the Brand Foundation took in only two donations: $29,000 from Phillips and Brand, and $100,000 from the National Fencing Foundation. In 2014, the foundation paid Phillips, its president, $22,000 in compensation. In the two subsequent years, it spent almost all of the rest on travel and conferences, legal and accounting fees, and donations to three other nonprofits. Phillips and Brand dissolved the foundation in 2016, giving $2,431 to the Cambridge Center for Adult Education; $33,000 to Maccabi USA, which supports Jewish sporting tournaments; and $34,000 to the Lake Shore Center for the Arts in Westfield, N.Y., Phillips’s hometown. Announcing the grant at a performance of “To Kill a Mockingbird,” Phillips said some of her fondest memories were from “participating in the Lake Shore Players, a former Westfield community theater group,” according to a local news account. 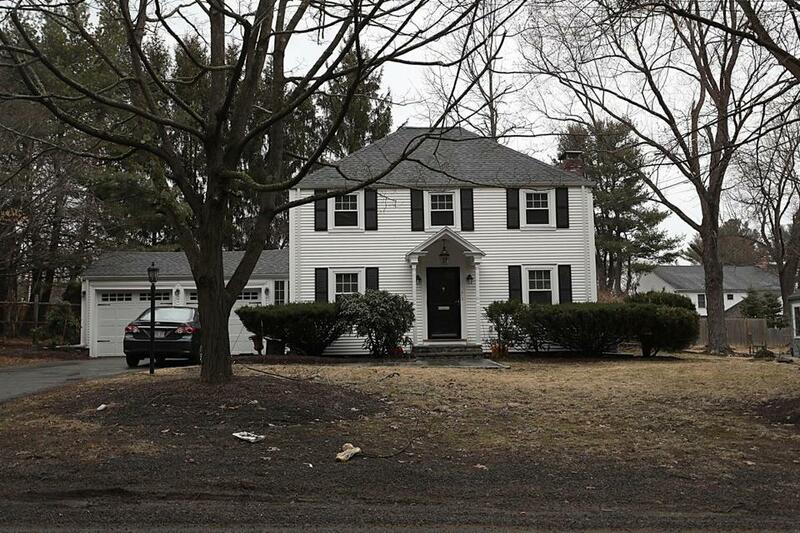 In the spring of 2016, Harvard’s fencing team placed 7th at the NCAA Championships and Needham’s director of assessing was trying to figure out why 212 Forest St. sold for so much. Chip Davis, who has worked in the assessing department since 1992, paid the 1,400-square-foot property a visit after the 2016 private sale because the house sold for significantly more than its assessed value, a trigger for an onsite inspection. “I walked in, and it was vintage 1960s,” he said. When the house sold 17 months later for $665,000 — more or less market value, Davis said — he again noted “makes no sense” in his assessing system. He said he coded both sales as “N,” a notation he rarely uses, and connotes “there’s no rhyme or reason for the sale price, and we can’t explain it one way or the other in relation to the market,” Davis said. During the weeks Zhao’s Needham house sat on the market for $699,000, it caught the eye of a family looking to buy a property and flip it. They were surprised by the price, and even more surprised it had sold a year earlier for almost $1 million. They didn’t buy it, but looked up the buyer and seller in property records. They Googled them, and joked among themselves there might have been some funny business between Harvard’s fencing coach and the family of a recruit. In March, after federal prosecutors announced the indictments of dozens in the massive college admissions scam, they decided to call the Globe.